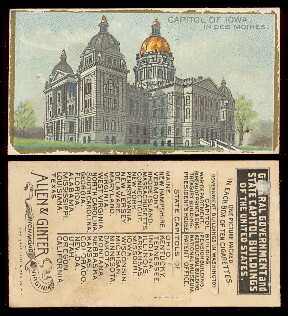 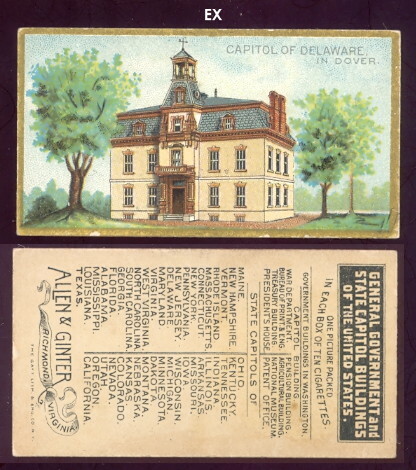 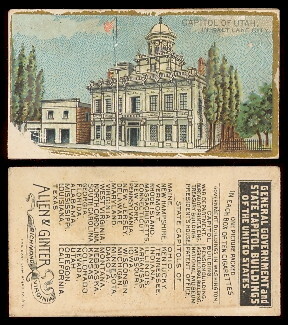 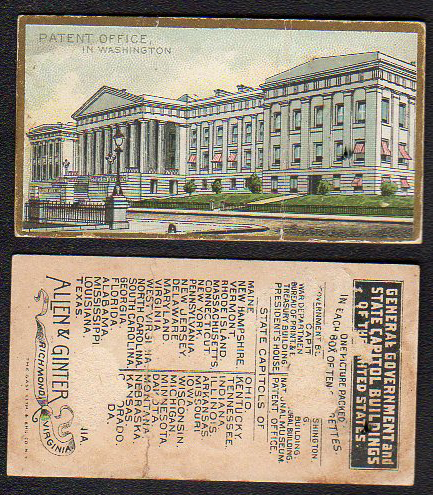 Allen & Ginters N14 General government and State Capital Buildings of the United States . 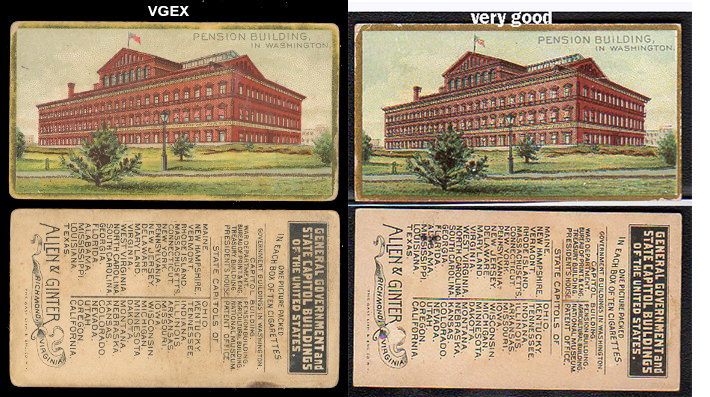 The cards measure 1-1/2" X 2-3/4" and there are 50 in the series. 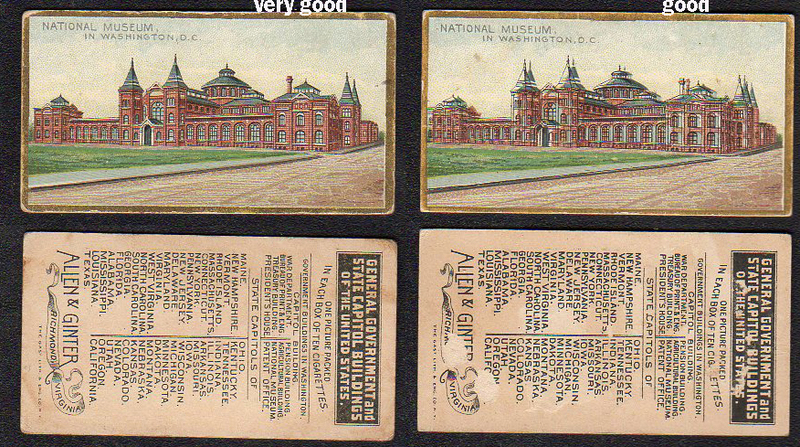 They have an unnumbered checklist on the back with advertising. 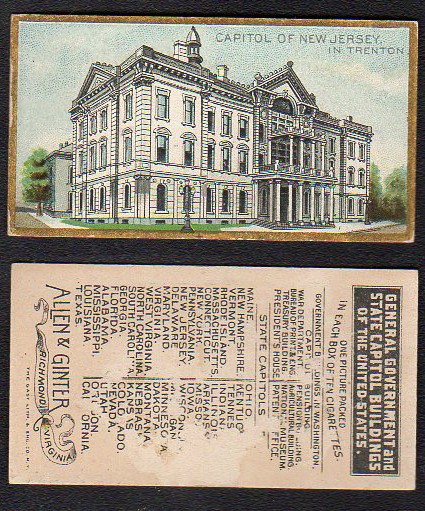 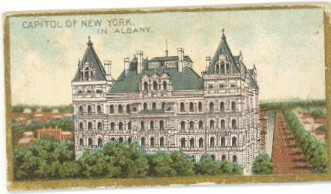 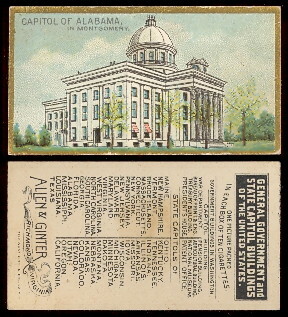 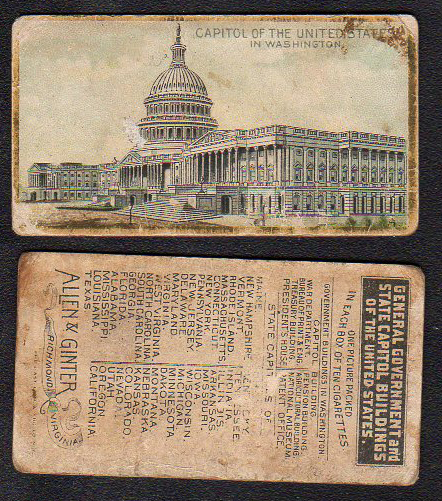 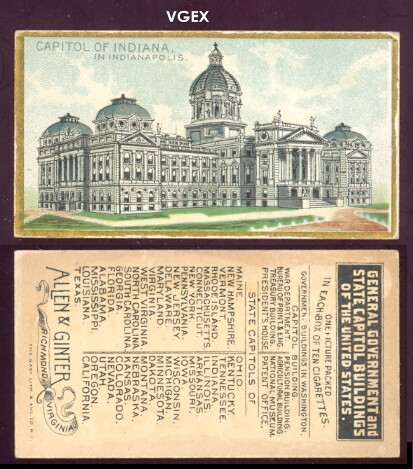 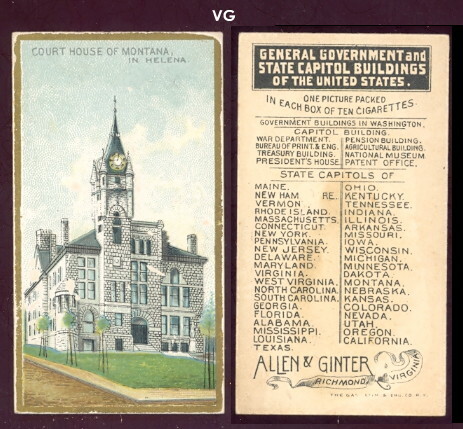 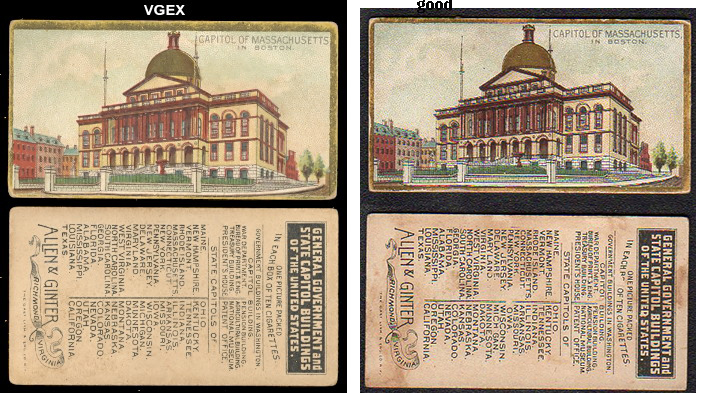 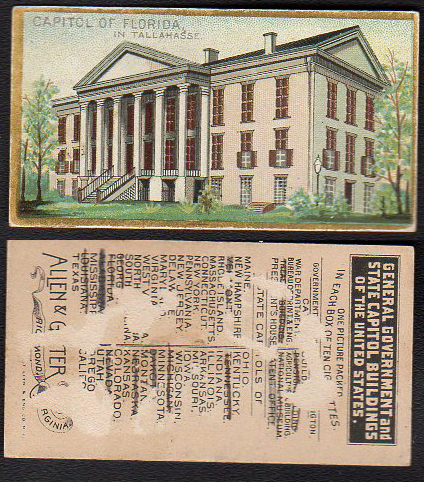 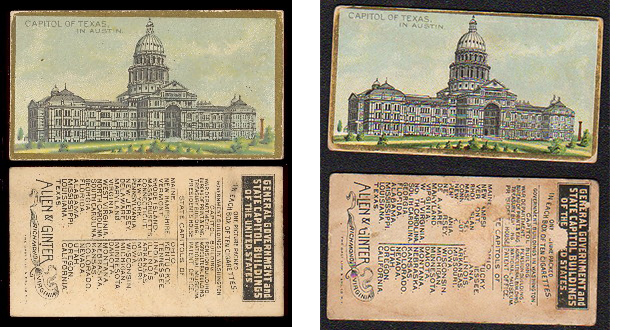 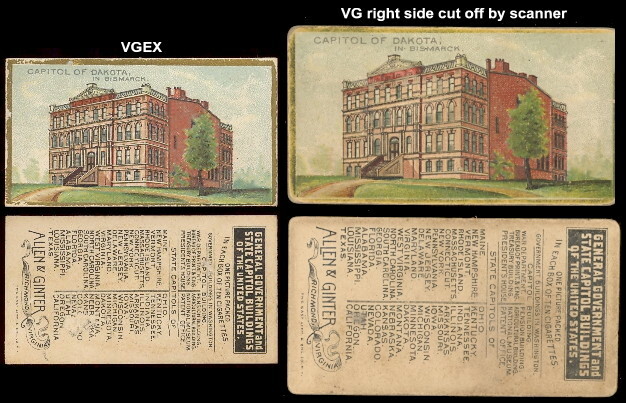 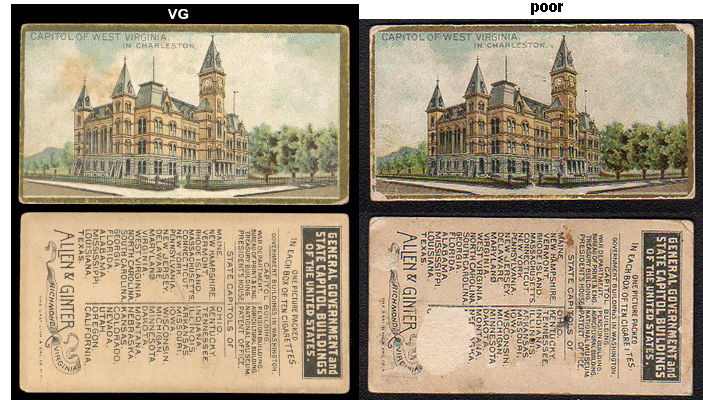 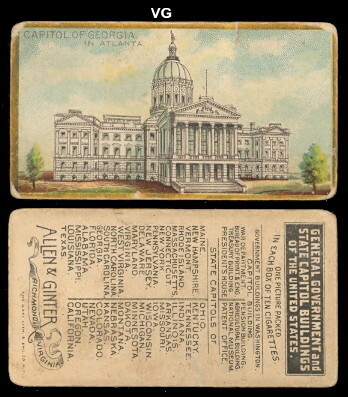 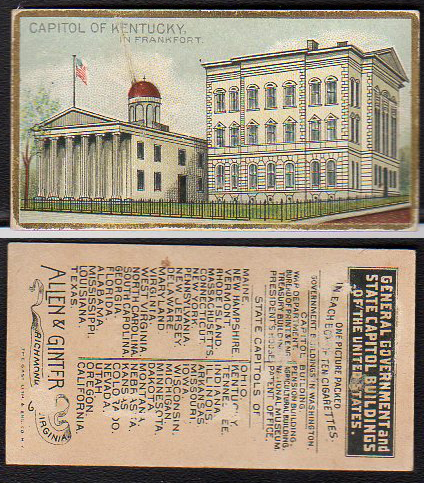 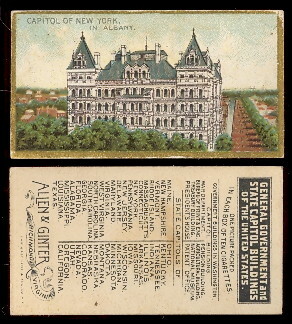 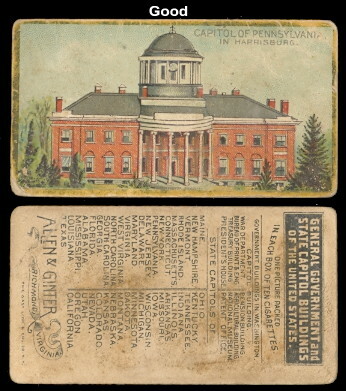 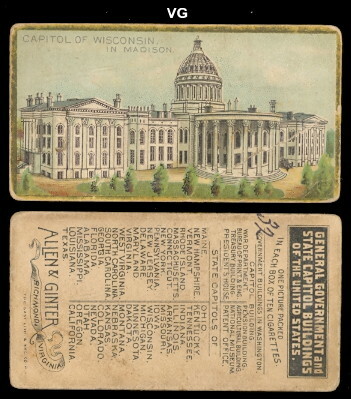 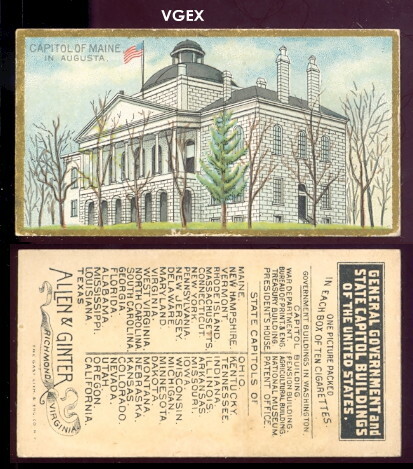 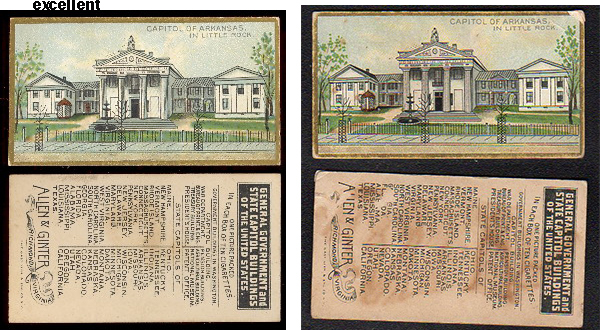 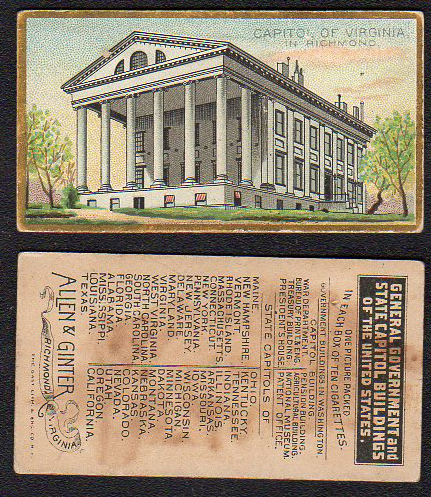 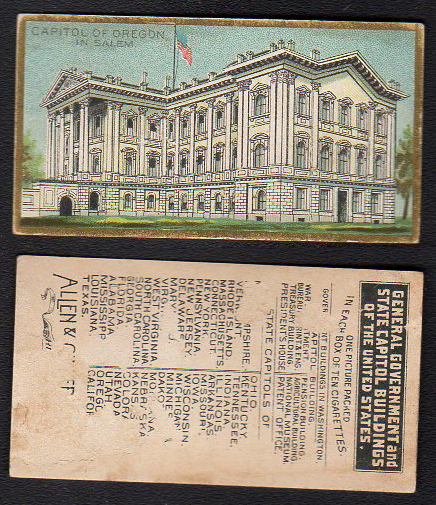 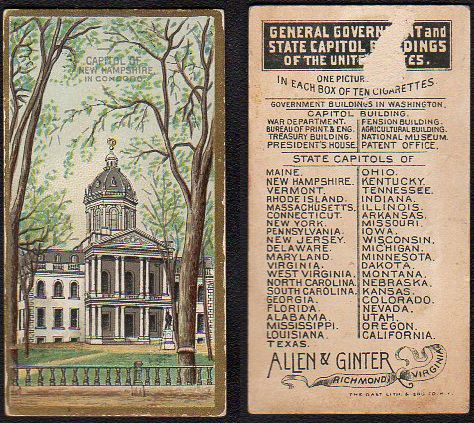 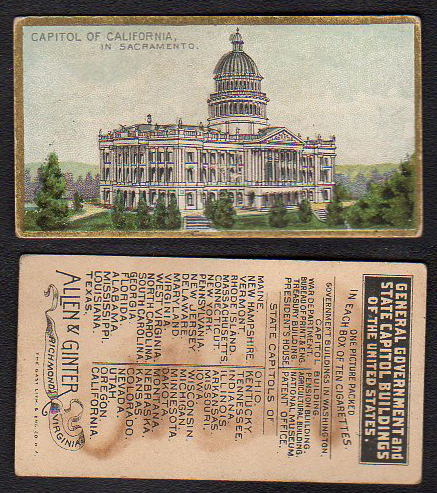 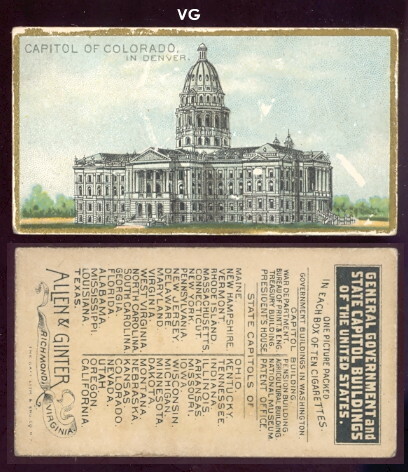 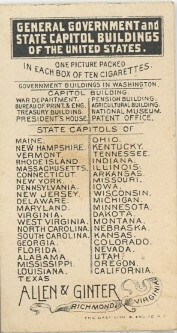 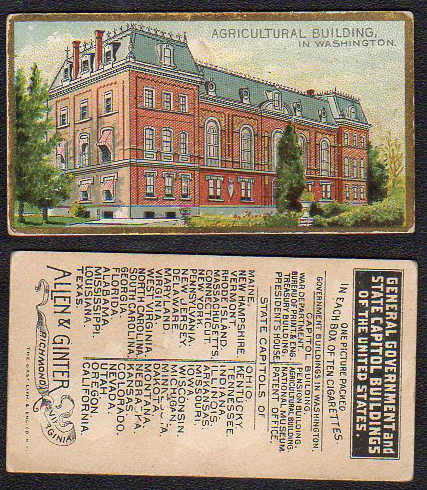 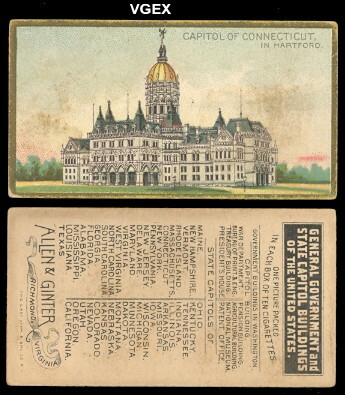 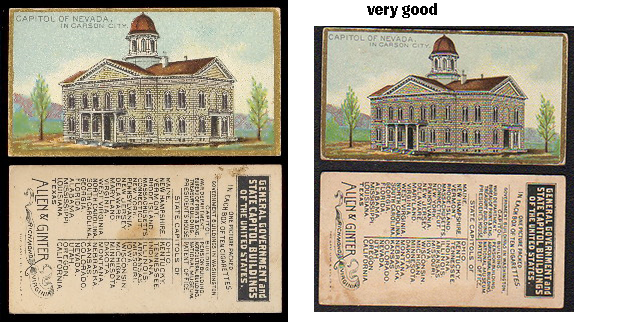 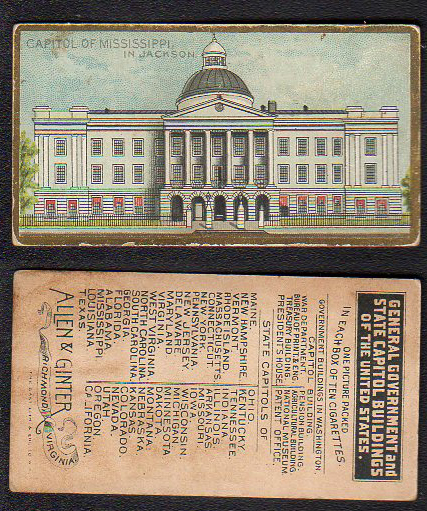 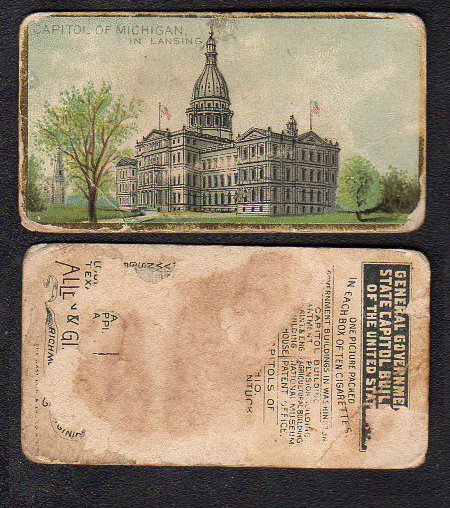 You can see all of the cards in the set that is being offered here: N14 government and State Buildings, complete set.